A Review of Musica Intimae by Pianomania! We would like to express our gratitude to Dr Chang Tou Liang of Pianomania for coming to watch us at our concert! Thank you for the kind words and encouragement, and for being part of our audience enjoying the music that we have had the opportunity to bring to you. 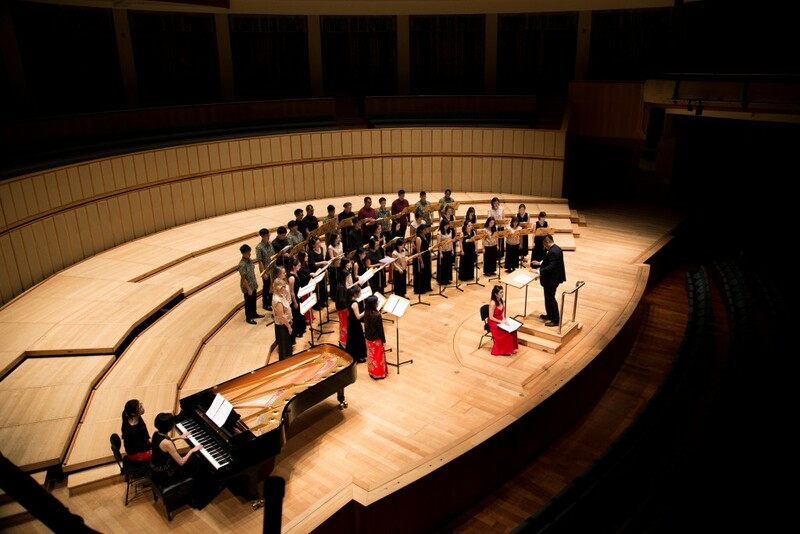 “The excellent orchestra was dispensed with in John Rutter’s Magnificat, which was conducted by Vox Camerata Chorusmaster Shahril himself with Ong again on piano accompaniment. In this larger scale work, the chorus occupying centrestage under the acoustic canopy seemed overmatched by the venue, and some parts sounded thin as a result. A choir double its size would have been preferable, but make no mistake, it still brought out a gutsy and committed performance, full of heart and feeling. The syncopated opening Magnificat was well-delivered, with a keen mastery of its tricky rhythms. Rutter’s very tonal and highly approachable music risks sounding saccharine, so the chorus avoided over sentimentality in the slower movements. The 2nd movement, Of a Rose, a Lovely Rose, was poetically sung, contrasted with pomp and ceremony of Quia fecit mihi magna. Guest soprano Akiko Otao was a standout, her lovely voice wafted clearly over the chorus in Et Misericordia and Esurientes. If one wondered what an angel sounds like, this would be a pretty close approximation. There was a jazzy choral fugue in Fecit potentiam which was unfortunately not further elaborated by the composer, but the final Gloria patria recapped the opening’s high spirits and the concert closed on a celebratory high.